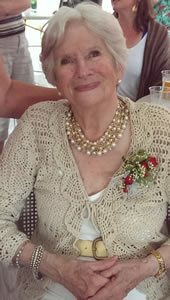 Virginia “Ginny” E. (Jarvis) Miller, 92, a lifelong resident of Greenfield, died unexpectedly on Sunday, March 18, 2018 at Baystate Franklin Medical Center in Greenfield. She passed peacefully surrounded by her loving family. 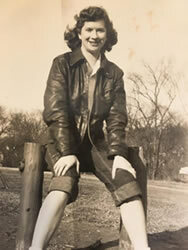 Virginia was born March 7, 1926, the daughter of the late Anna E. (Herzig) and Albert A. Jarvis in Greenfield. She was educated locally and graduated from Greenfield High School class of 1946. 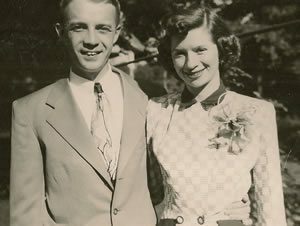 On September 16, 1950, she exchanged vows with George E. Miller. They were married in Greenfield. George passed on July 20, 2011 after 61 years of marriage. After graduating, Ginny worked as a sales clerk in the women’s department of Goodnow’s Department store. It was there that she met her future husband, George. She also worked for twenty years as a Nurse’s Aid at Anchorage Nursing Home in Shelburne. 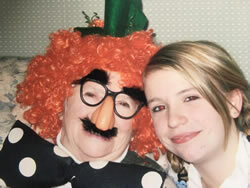 She had many interests and hobbies over the years. She enjoyed knitting, painting, days at the beach, and attending drag and oval track races with George. 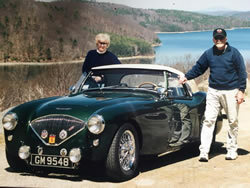 She loved all animals and going on adventures with George in their vintage Austin Healy. After retirement, time was spent vacationing in Florida. Ginny was a wonderful and loving wife, mother, grandmother and greatgrandmother who took joy in Sunday night suppers with her family. Mrs. Miller is survived by her four children: Robert “Bob” G. Miller and his wife Cynthia of Sevierville, TN; Susan A. Allen and her partner Janette Langlois of Adams, MA; Diane E. Hastings and her husband Stephen of Greenfield; Jeffrey E. Miller and his wife Marcia of Leyden; her siblings Raymond Jarvis and his wife Peggy of Montague and Edward Jarvis and his wife Landa of Swanzey, NH. She is also survived by seven grandchildren, ten great grandchildren, cousins, nieces, nephews, extended family and friends. In keeping with Ginny’s values, there are no calling hours. A private graveside service will be held in the warmer weather for Ginny and George at West Northfield Cemetery in the family lot. Donations can be made in memory of Virginia E. Miller to: Franklin County Regional Dog Shelter and Adoption Shelter, 10 Sandy Ln, Turners Falls MA. All services are under the care of Cheshire Family Funeral Home and Crematories.